I have tested Green Panthera for a long time now, and I know all the ins and outs of the site. So is Green Panthera a legit survey site worth joining or a waste of time? In this Green Panthera review, I will give you all the details. I will give you all the plusses and minuses, give you tips and advice, some warnings, and in general explain what Green Panthera is, and what opportunities you have on the site. By the end of this review, you will know whether it is a site you want to spend your time on or not. What is Green Panthera and what opportunities does the site offer? Green Panthera is, first of all, a paid survey site, where you can get paid to share your opinion on various topics. But it also offers a couple of other ways to make money. So let’s start by going over the earning methods Green Panthera offers and how good they each are. Green Panthera is, as mentioned, first of all, a paid survey site, and that is the main way to earn on the site. It usually offers several paid surveys a day. You will receive an email every time there is a new survey available, so you do not have to log in to the site to check. However, you might want to log in once in a while anyway, as some of the other earning methods are only available on the platform itself (I will get to that below). In my experience, you will probably get several emails with survey invitations a day, but many of the emails will be with a link to a survey that turns out not to be available anyway. A bit annoying, but luckily it does not take more than a few seconds to check, and there are also often surveys that work, and the ones that work usually give an ok reward in relation to time spent. But you have to be aware that it takes a bit of patience to find the surveys that are actually available – more or less all survey sites will have surveys that you do not qualify for or that are not available, but it happens more often on Green Panthera than on other sites. So if you want to earn on Green Panthera by taking surveys, you need to be a bit patient and not give up even though you get emails with dead links or invitations to surveys that are closed. Other than surveys, Green Panthera also has an offer wall with paid offers. It can, for example, be to get a reward for downloading a certain app or game to your phone, registering for a website and offers like that. You can find some nice offers here with great rewards, but make sure to read all the conditions before taking any of these offers, as sometimes it requires you to for example play a game for a certain amount of time, to be contacted by an advertiser etc. So be sure to know what you need to do to get the reward. On the offer wall, you can also find more surveys. Compared to many other survey sites, Green Panthera does not have the best selection of paid offers, but you can still find some good ones here. If you like to do online shopping, Green Panthera has a cooperation with quite a lot of online shops. This is not so much a way to make money, but a way to save money. If you shop in one of the online shops, you will get a discount. So if you like shopping online, it can be a way to save a little extra money. 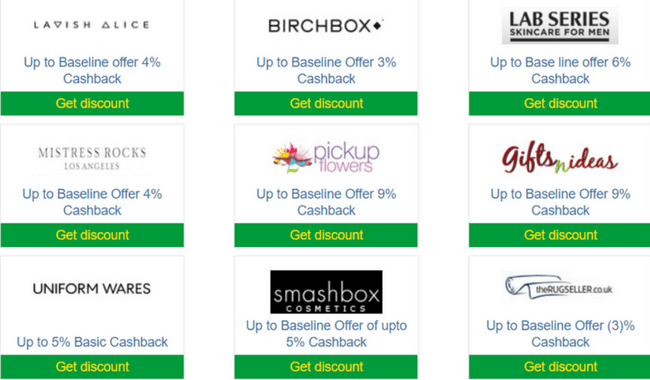 Examples of Green Panthera’s online shopping offers. However, even though the selection of shops is pretty big on Green Panthera, it is mainly shops for people living in the US, Canada, or the UK. Also, if you would like to save money on online shopping, a site like Swagbucks offers way better cash back offers and bigger discounts. On Green Panthera, you can also find coupons to save money. Or that is at least what is said on the site. I have not had any coupons available to me, but that can also be because of the country I live in, so it might be different for you. But do not expect too many of these. 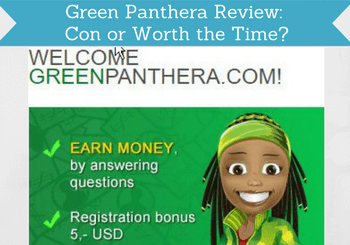 When you take a survey or an offer at Green Panthera, you earn dollars that you can get out through PayPal, which is a great and easy way to get paid. 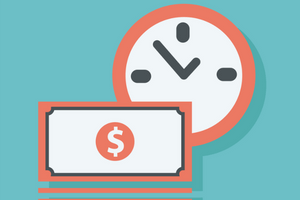 Most surveys give $0.75-$1, and on average the surveys take between 5-15 minutes. When you have completed a survey, be aware that you cannot see the money on your Green Panthera account right away. They write that you will be able to see the money after 1-2 days. However, in my experience, it usually takes around 3-5 days. In some cases, it can also take longer for the surveys to be approved, so if you do not see the money in your account within a few days, you just need to be a bit patient. Notice that you need a PayPal account to register at Green Panthera. In the form you have to fill out when you join, there is a field saying “PayPal account”. Here you have to write the email address that you are using for PayPal. It took me a bit of time to figure out what I was supposed to put in that field, so now you know:-). When you ask for a payout to your PayPal account, it can take up to two weeks before you have the money in your account, but in my experience, it usually happens faster. You cannot cash out until you have earned $30, which is a very high payment threshold compared to many other sites. There are PayPal survey sites with a lot lower threshold, and on Green Panthera, it can take a bit of patience to get to the threshold. But it is definitely possible, and I have done it several times myself. You get a $5 bonus just for signing up, which is great start and a really good joining bonus for a survey site. How much time do you have to spend to make money on Green Panthera? Most surveys you get offered will take 5-15 minutes. The reward you get for them is usually pretty good in relation to the time spend on each survey. They send an email every time there is an available survey, so you do not have to log in yourself to check the site. You just have to be aware that you might have to spend time clicking on links to surveys that are not available anyway, as I mentioned above. It luckily only takes a few seconds to check, but it can be very annoying and frustrating, so you have to be a bit patient. Like in all my other reviews of paid survey sites, I want to emphasize that this will not make you rich and will not make you a full-time income. I mention this again, as if this is what you want, you will probably be disappointed, and then you will also not do the surveys, and thereby eventually also not make any money. Personally, I have not had any problems with Green Panthera, and it has been working fine for me and I have been paid by the platform several times. It takes a bit more patience to find the survey you qualify for than on the top paying survey sites, but I have not had any other problems. But after initially posting my review of Green Panthera, I have received several messages from people that have other experiences and that complain about different aspects of Green Panthera. So I have now updated this review and included this part here, so you can also get an idea about what other peoples’ experiences are, and I have included these complaints into my overall ranking of Green Panthera. I have received a couple of complaints from people that have had their account suspended before they managed to cash out and following they have not been able to get helpful answers from Green Panthera’s support team. I have never had problems with cashing out or getting suspended myself but seems some people have tried this. What the reason is, I cannot say, as I have not gotten this information. The most common complaint I have heard is that it takes a lot of patience to get an answer from the support. You can see in the comments below that some people even report to never hear back. I have been in contact with Green Panthera’s support myself a few times and have always gotten a quick answer. I have asked them about the comments about people not getting an answer. I was told that if you do not get an answer, it is best to write again. From comments I have received below this review, it seems it will not always help. But in case you should need support and do not get an answer, then try to write again. Overall it seems like not everybody has the same positive experiences with Green Panthera as me, and it is worth taking into consideration before you join. But I want to emphasize that I have never had problems with Green Panthera, and I have always been paid without any problems. But if you find out you do not want to join, there are luckily plenty of other survey sites that you can join instead. In which countries is Green Panthera available and who can join? You can participate on Green Panthera if you come from a lot of different countries and in many different languages. You can see the picture below to see exactly which countries it is possible to participate from. Be aware that if you are not in the country where are registered as living, you will not be able to participate. So you cannot participate when traveling. You have to be 18 years old to join Green Panthera. Final verdict – Worth it? Green Panthera has both good and some not so good aspects, but it is not a scam, and you can actually earn some extra money if you are patient enough to reach the payout threshold. I know this for a fact as I have been paid several times by the site myself. I have not had any problems with Green Panthera myself, and have been paid out through PayPal without any problems. But as you can see above, there are some people that complain that they have had problems. So I would say that it is a site with potential. But it will take a bit of patience to find the surveys you qualify for and to reach the high payout threshold. So it should not be the only survey site you are relying on to earn some extra cash. It can be fine to join as an extra site, but I would highly recommend joining other paid survey sites in your country as well. If not, it will simply just take too long for you to earn any real money, and not be worth your time. How do you sign up for Green Panthera? It is very easy and fast to sign up. Just click the button below, choose your country, and you will go to Green Panthera’s website, where you have to fill out a short registration formula. It only takes 1 minute. Remember that you need a PayPal account to be able to join. Once you join, you will get a $5 joining bonus into your account. If you have any comments, questions, or have any experiences with Green Panthera yourself, I would love to hear from you in a comment below. 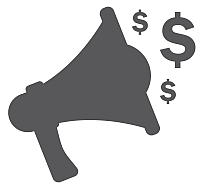 Green Panthera offers several daily paid surveys and the money you get for each survey in relation to the time spent is ok for a survey site. You will receive an email when a new survey is available. Decent earning potential, if you can accept that quite a lot of the emails they send, leads to unavailable surveys. Be aware that there have been some complaints about Green Panthera as you can read above. You get a $5 dollar bonus for signing up. Hi there, the web site greenpanthera appears to be not secured! So we have to give out our payment details and the website says not secured.. it is a bit shady, when you have to deal with money and not securing the page. Anybody experience any trouble with that? yes, you are right that it definitely is best when sites have the ssl certificate activated so it is secure that way. Don’t know why GP does not have that. That is a bit strange. Personally, I have been using GP for a couple of years and have been paid by them several times and have not experienced any problems. But still hope they will soon get the ssl in place. I had two accounts without knowing that it was forbidden. When I asked for withdraw, they simply deleted both. I do not agree with that. I think they should pay me first. I think more or less all survey websites see it as a violation of their terms to have more than one account and will block you if you do. But I agree that they should have talked to you about it before just closing your accounts. Many people that violate the terms are like you and do not do it on purpose and deserves a second chance. But because there are so many scammers out there that deliberately try to cheat some survey sites do not give users the benefit of the doubt, unfortunately. Yes, Mikael, you’ve got to the point. I didn’t mean it, it was not my intention to cheat. I will look for others opportunities. Thank you for your response so kind. There are plenty of other great opportunities so you will be fine without Green Panthera as well. And then just make sure to only create one account on the sites you join. Also, be aware that some sites have it in their conditions that only one person per household can join whereas others allow more people from the same household to join. This means the sites that do not allow it, see it as an issue if more people that lives in the same household join. Just wanted to make you aware of this in case you did not know. sorry to hear that. But thanks for sharing your experiences with the rest of us. My issue seems to be a bit different. I have been receiving lots of invites and still am. Nevertheless, even though I had cash paid to me on several occasions, it seems that I have now lots of transactions with “Processing” status (about 12 of them – the oldest dated 20th February 2019, the latest dated 4th of March). Nevertheless, 2 surveys were paid after this latest dates. I have contacted them on 3 different occasions – also providing screenshots of my account and the transactions. No reply at all. I have $22 and those payments would allow me to cash in, so I am worried something fishing going on here…. The processing of certain surveys can take a bit long and maybe even up to a month. So that in itself can be ok even though it is long. It depends on the individual surveys. However, it is unsatisfactory that their support has not replied to you. I have been in contact with them a couple of times myself and gotten a quick reply all times. So not sure why they do not reply to you. Do not really have any suggestions other than trying to keep writing them or wait for a few more weeks to see if the pending money will be released and until then just not take any more surveys on Green Panthera until you know what is going on. Unfortunately, that is the best suggestion I have. Hope this helps and feel free to keep me updated about how it goes. Thanks Mikael. So – how is it that you know so much about them and why do they seem only to reply to your messages – I’ve read lots of other people’s messages in this blog and virtually no-one has been given a reply!? Do you work for them or are you just a good Samaritan’s panellist? I cannot say for sure why they replied me and so many others have problems getting answers. I wrote to them exactly because I had many people here on my website telling me they had problems so I wanted to try to see if I could get an answer about this. If you scroll through the comments here you can see the person telling me about the same issue as you where I then decided to try to write them. Sometimes it is easier to get through when you have a website and that is why I decided to try and write them even though I have not had any issue with the site myself. So I think the reason they replied to me so fast might be because I told them I own this website and had a lot of people complaining about their support. You can also see in one of the other messages here I posted the answer I got. I know it did not really help the person much but I did what I could and just told what I was told. Unfortunately, there is not much more I can do. At that time there was also a person accusing me of working for them because the answer did not help her. But if I really worked for them why would I then allow all these negative comments and try to help people figure out what is going on? And why would I have written a whole section in my review about complaints I have heard about them? I just own this blog and share my honest opinions and experiences about survey sites to help people find the best options. When someone has a problem with a site I am happy to have a place here where they can share their experiences and frustrations that are often not allowed on other review sites as they are often censured – this way others can see it as well and not only see my experiences. This way this blog helps people get a lot of insights about which sites are worth it and I am putting a lot of effort into providing as in-depth info as possible and helping when I can. But do not know what more I can do than letting people explain their situation here so others can hear about it and help with answers if I can. But if there is anything I can do to help you, just let me know and I will see what I can do. Sorry it felt as an accusation – in reality was just a simple question. I haven’t see any comment about issue just like mine. My account has not been blocked – I can still log in as per normal, whereas the other comments I’ve read referred to account shut-down. Can you point me to the message you believe has the same issue as mine? Also – I totally get why they are replying to you and not to the rest of us, as now explained. With that in mind, is there a chance for you to send a message on my behalf? They surely can not put it down to anything such as dishonesty of rushing the answers, because they just stop processing surveys all the sudden…and all of them. So this is obviously done in purpose and intentionally just before payout. If you could help this way, that would be great and thanks in advanced. I will wait for a few more days as suggested, but then – if they don’t reply at all – I’ll definitely report them to trading standards and to the relevant association that deals with their business. They just can’t ignore emails just because…they think they can. I definitely do not mind questions (I also welcome critical questions) and I am glad you asked instead of jumping to conclusions. With the same issue, I was referring to not hearing back from the support. I have also not seen anyone with the other issues you are having. I will try to write Cat, but cannot promise anything. Last time I tried I did not get much info out of it. But will write what you have told me and see if it makes a difference. If I hear back, I will let you know as soon as I get an answer. I have joined numerous survey sites over the years and this is the worst, most poorly paid, most time consuming, most obnoxious site I have ever experienced. I emailed 17 times but still haven’t had a response. I tried using a different email address but that didn’t help. I only wanted to leave! They were literally drowning me in Survey emails- over 100 per day, 7 days a week. When I tried to log in to the site, it would not recognise my saved password or even my email address. Yet they were sending me thousands of surveys. When I first started, At first I was able to complete some surveys, but only low value ones. Later, I was screened out of them all. It was actually taking hours to open each email, then start the survey, only to be screened out. Then start again ad infinitum. I realised I was never going to reach the qualifying amount. As I could no longer sign in, and could not ever get a reply to my numerous requests, I had to block their survey email address and forego the paltry sum I had earned. Thank you Mikael – I really appreciate your help. Don’t worry, I won’t be holding my breath for any outcome; in the end, the fact that you are selflessly helping me and other in my position has already restored my trust in humanity. Frustration made me feel very judgemental,,,of all people – and that’s neither good or right. I have sent them an email now and will let you know if I get a reply. Well well well…guess what Mikael? All my incentives have been converted into cash today and, as I have reached the $30 threshold, I have made a request for payment which should arrive in a few days. I had a look at my account and realised I have successfully obtained 7 different payments since joined in 2017, that’s why I was really taken aback by this issue. Do you think your email prompted them to release the cash or was just a coincidence that the transactions converted just a few hours after you sent the email…?? To me it doesn’t really matter, if I’m honest, because I stand by my believe that you have helplessly helped me with this issue and the positive outcome -thanks to you or otherwise – is just a cherry on the cake. In other words, I am extremely grateful of your support and the platform you offer is a great “stress relief” for all the frustration caused by this company. So thank you! Really great to hear Cat. Think it might just be a coincidence that your money was released today as well as I did not mention your name in my email to them. As you say, what is most important is that you got the pending money released and can now get a payout. Hi, good blog, i have a question about, my 2 first surveys, cant be done, cause these appears this message, We are sorry, the responses you gave do not match that required for survey #492968 But do not worry, we will have more surveys for you soon! For most survey sites it is very normal that you will not qualify for all surveys. As I mention in the review, on Green Panthera it does, however, happen very often that you do not qualify for the surveys you get invitations for. So it can take some patience to find the surveys you qualify for. But it is possible to get surveys and I have been paid by Green Panthera several times myself. It just takes a bit more patience than on many other survey sites. Hi I keep having the same error, and they are going another month, I still get the error; Maybe I should deactivate my activirus, or use another browser, I use chrome, what steps should I do, I have a lot of unanswered surveys, because I think I waste my time. thank you. Do not know why you keep getting the same error. But from what you previously wrote it just seems like you do not qualify for the surveys. As mentioned, the majority of the surveys on Green Panthera you will most likely not qualify for, so it is a survey site that requires more patience than many other sites. If you have tried for many surveys for more than a month and keep not being able to complete them, I would suggest you to instead find other survey sites to join. Hi Michael lo seem to be receiving email notifications for every chat you are having with othe people and I am not sure how to stop that. Can you please tell me how to do this? In the emails you get there should be a link to manage your subscription for the comments. If not, then scroll to the end of the comments section here on this page and then you should see a link to manage your subscription. Thanks Mikael. I still find it extremely frustrating they’ll reply to you but not to me! I just don’y understand why that is, and because of that, I think I’ll close my account as soon as I receive the money. I just can’t believe they will disregards emails for weeks and reply to the ones that are sent by you only because of your platform. This is just poor behaviour. Anyway – I’m sure they’ll be better survey websites I can join than this one. I definitely agree that they should reply to all emails no matter who sends them. There definitely are better survey websites. If you want a few suggestions for the ones I have had the best experience with just let me know. Looks like I have a technical error with the software I am using that makes it possible to subscribe to comments. Thank you very much for making me aware. That is something I need to have fixed asap and was not aware so really appreciate you telling me. As I do not know how long it takes to fix the technical problem, I will just manually go in an delete your subscription to the comments asap and then you should not get any notifications anymore. That’s great-thank you very much Mikael. I commented before on my problems with Green Panthera. Just to be clear, they never contacted me about any reason for blocking me, which would be the right thing to do. There was no warning I was doing anything wrong. In my case at least it is simply untrue. I just found out when I suddenly was not getting emails from them. I have not cheated in any way, manipulated pixel, have more than one account or rushed through. I emailed them at least 3 times and they did not reply. I was not threatening. I wanted to know what they perceived I did wrong, it might have been some innocent mistake or misunderstanding on either end. I think their customer service policies are just a little too extreme for a survey company, and there is no address to write a letter. Something is very wrong with their attitude and employees. As I said they would not even reply to a simple question about their games when I was still a member. Once they block you, there is no getting any contact from them. They seemed to be good for a while to me too until this happened and I lost money. Never had this kind of problem with other survey companies. They weren’t my biggest money maker but it still hurts to lose that money, and to be made to feel that I am somehow dishonest. Very sorry to hear Marlene. I have myself tried on a different platform to suddenly be locked out without any explanation, so I understand your frustration. I tried to see if I could get a better explanation from Green Panthera, and what I posted below was the answer I got. Know it will not help you much, but just wanted to share what reply I got from them. But good to hear you also have other sites you get money from – can I ask you which survey sites you have the best experiences with? I understand the only thing that I did was requested a payout and when I requested a payout they immediately blocked me and I didn’t do anything wrong I just requested that pay out and a few days later I emailed them I wasn’t getting any emails and I emailed them to see what was going on and they emailed me back saying that it could be that I was rushing you or it happened on numerous occasions. But I never got any warning like the other person in the comment section stated that was weird to me sorry about the punctuation. And this blog don’t seem to help at all seem like he has some affiliation with the company because he always just says well just leave another comment or something or profiting off of the people that are emailed and I’m leaving comments it’s embarrassing. I am truly sorry to hear you lost you money and got kicked out without warning Nikki. I am the owner of this blog, so of course also sorry to hear you do not think it helps. I have tried to do my best by contacting Green Panthera and making them aware that there are several complaints about it and encouraging them to do something about and asked what the explanation could be. The answer I got is what I posted here – I do not think it gives you a good explanation, but just showing the answer I got. I cannot make them give you the money you lost or make them answer people – I could only make them aware, and that is what I did. Unfortunately there is nothing else I can do. My goal with this blog is to make people aware of both the pros and cons of each survey site I review. That is also why I have a whole section in this Green Panthera review that mentions I have had several complaints. That is also why I encourage people to share their own experiences here in the comments section. That will help other people to see what the platforms are offering and hear about many different experiences. If I did not want people to know about the negative sides and bad experiences of for example Green Panthera, I would just block comments. But I actually think it is great when people share their bad experiences as well and help to make other people aware. So sorry to hear you do not find it helpful. I have done my best by trying to contact Green Panthera and by making people aware that there are many poor experiences with the site even though I have so far always been paid by it myself. That is the best I can do. It wasn’t, as my computer had it saved. Next it said my email was not registered on their system. Despite receiving over 100 surveys each day. I contacted customer support 3 times asking them to stop sending emails and to close my account. A month later and they have not replied. They still send 100 emails every single day. I have started returning each one with a begging note, pleading with them to stop. I have now returned over 200. These emails constitute harrassment – they clog up my messages to an intolerable extent. There appears to be no way to close my account, no way to receive a response from customer support and no way to stop the literally thousands of non stop emails they send. I would sincerely advise people not to join up as they are run by totally incompetent and seemingly crazy people. Sorry to hear this Lu. But thanks for sharing your experience. I have been paid by Green Panthera several times so I know it is possible to earn enough to get a payout. But as I also write in the review, it can take a bit of patience and a lot of clicks on survey invitations to get there. I have actually also been in contact with their customer support a few times and they have responded within the same day. But I have heard from many other people having the same problems as you about not getting a response. Sounds like they could use a more consistent support. If I were you, I would simply block their email address, since you cannot unregister, so they no longer are delivered and then move onto other survey sites instead. Again, thanks for sharing your experience with the rest of us. I have just recently had a bad experience with greenpanthera. I had been a member for some time and received at least one payout from them, maybe more. I liked them because they had plenty of surveys and I qualified for many. However, I once tried to contact them on something minor, like the games, and never received a reply. Just recently, I cashed out for $57 and was approved, and told I would get it in 14 days. A few days or so before I was supposed to receive it, I suddenly realized I was not getting emails from them anymore, so I tried to log into the site. Nothing worked so I asked for a password reset. I got the message that they didn’t have my email on file. I tried to contact them at least 3 times at the email for support they give. No reply to anything. It was obvious to me they closed me out, but my inquires seem to go to the air. I give honest answers and have done nothing fraudulent. There may have been some mistake but I can’t contact them to find out. I was counting on that money, I use quite a bit of survey money for food and other things since I am retired and disabled. I am shocked. It seems they should have to tell you what you did wrong before they block you. And I mean specifically, not some vague answer. I have never had a problem like this where customer support ignores you. I have also noticed that the customer support email they give is not a direct link, you can’t click on it like you can in other survey sites. Very sorry to hear this Marlene. That is for sure not ok of a company to treat anyone like that. Unfortunately you are not the first one that I have heard having problems with getting in touch with the GreenPanthera support. I have never had problems with the site myself, but very sorry to hear about your experiences. I will do some investigation and see, if I can find any info about how to get in touch with the support. I will let you know, if you find any info. i WENT THRU THE SAME THING. i RECENTLY TRIED TO CASH OUT. I WAS RECEIVING EMAIL FROM THEM AND NOW I AM NOT. I WAS RELYING ON THE MONEY. THEY WILL NOT RESPOND TO ANY OF OUR EMAILS. THEY ONLY WAIT TO ONES CASH OUT THEN KEEP THE MONEY. THIS IS AWFUL. THEY ALSO HAVE NO PHONE NUMBER FOR CONTACT. I AM VERY UPSET. Very sorry to hear this Nikki. As mentioned, I have always been paid by Green Panthera myself. But I am now trying to see, if I can get in contact with Green Panthera myself to ask about how you and others that have mentioned here on my website that you have lost money can get help from them. Will let you know, if I find info that can help you. I received the email from them stating that the client said that I was rushing through the surveys and that they automatically close the account when it happens they don’t give you an explanation at first but then they’ll send something back stating that’s what happened it’s starting to be a constant thing with people they’re doing this to and they don’t even give you any type of warning. So I’m lost out of money and so are the other people that are doing these things and we’re not speeding and we’re not putting one word answers they’re just keeping the money to them step cells I’m starting to think they’re keeping the money to themselves when doing so. They just don’t want to pay us they’re keeping the money to themselves. Something truly needs to be done about that. It does not sounds fair Nikki. Can definitely understand your frustration. I think the best thing you can do is to share like you have done here, so other people can hear about your experiences. And then find other survey sites to use – luckily there are many great opportunities that in my opinion also give better and more options than Green Panthera. I have now been in contact with Green Panthera to ask why it seems many people have not been able to get an answer from them. The support replied me quickly. In relation to getting an answer from the support I was told that they usually reply within 24 hours, but if not it is better to write again. I wrote with them a couple of times and got quick answers both times. They added that “However, if the respondent already received a reply with the reason of removal we have a right not to reply on further complaints, especially if they are threats or impolite attitude”. I am not sure this will help, but just wanted to pass this information on, as that was the answer an explanation I got. It’s a scam. None of the surveys are available in the end, and I never got my joining bonus. Tried contacting them about this but never got a reply. Sorry to hear you had that experience D. I have heard from several people that Green Panthera’s support is not good at getting back to people. I have not had problems with them myself. It can take time to find the surveys you qualify for, but I know from experience that with some patience there are some. Also, I have been paid by Green Panthera several times. But not good to hear you had this experience. I will try to look further into how to get in contact with the support, as you are not the first person having problem with this. For now I hope you instead have found other survey sites, where you have a better experience. Hi I have been having trouble trying to access my account I cannot even change my password as it says email not recognised on the system I have been using this site for months with no problems could this be some kind of a con so that they do not have to pay out! Sorry to hear about your problems with accessing your account. I have however been paid by Green Panthera several times, so I know it is not a scam, and I know from experience that they pay out. But does not sound good that you can suddenly not access your account. I have heard from other people they have had the same problem, but never experienced it myself. Have you tried to access it through a VPN or from another country than where you are registered? Because maybe that could then be the problem. Other than that, I do unfortunately not have an idea about why it happens to you. I would suggest you to try to contact the Green Panthera support and ask them. I have heard they are not always good at getting back to people, so if you do not hear anything back from them, just keep writing several times. Hope you get access to your account soon, so you can get your money. And feel free to keep me updated about how it goes, as it would be great to hear, if you find a solution. I have been locked out of my account. Apparently, I have been inattentive through surveys and have given bad answers. Surveys are not really about right/wrong answers so am a bit confused. Sorry to heat this Sarah. I agree that you should definitely had some warnings. Did you try to contact their support? I have never had problems with Green Panthera myself, and have been paid out several times without any problems. You are however not the only person telling about things like this happening. A shame that it seems many people are experience poor service at times, as it is otherwise a good site. That sounds very strange – sorry to hear that Nina. Do you mean that you have taken many surveys by clicking the link in the email invitation? Because then they definitely should credit you. Be aware that you do however not get credited right away. Often it can take 3-6 days before you can see the money in your Green Panthera account. Maybe that can be the reason? No apology or real explanation – and poor grammar to boot! That is definitely not a good reply you received from support Chinny. Sorry to hear that, but thanks for sharing your experiences with the rest of us. They’ve now reduced their payments to about $0.22 per survey. Probably not worth the effort. I still receive survey invitations for surveys that pay more, but you are definitely right that if you mostly receive surveys that only pays $0.22, it is not really worth it. I am not getting any survey from Green Panthera. Many questions are answered by me and after that, they said that no survey is available for you. This has been done many times. Now, I am like, this site is not more than a scam. What did I do? Please help. You did not do anything wrong. There will always be surveys that you do not qualify for on any survey site. However, on Green Panthera the majority you will be offered, you will probably not qualify for. That is why it takes quite a bit of patience to use it. But I have myself been paid by Green Panthera, so I know that it is not a scam – it just takes a lot of patience compared to many other survey sites. You can check out some of the top paying survey sites, if you want to look into other options. Most of them have lower payout threshold and more opportunities than Green Panthera, so you will be able to get paid faster in my experience. I joined 2 days ago and have completed 5 surveys and have been rejected from so many. It does get tedious and as suggested, you wont get rich and you need to set some time aside to keep trying. I’m a member of a couple of other sites which have me accumulating points much quicker, but hey, even if i only get $30 every couple of months, it’s better than nothing! Also keep in mind that a lot of surveys look at certain demographics eg: your age and location. I find with Green Panthera that after i put in my age, i get rejected, so i feel they’re looking for younger people. Also there seem to be a lot business type surveys eg: ceo’s, mgrs, executives and purchasing things for businesses. Just my observation. My suggestion is to check various reviews for all the survey companies available. Only after joining and trialing it for a few months will you know. One survey company i joined in my country was so slow to start with that i nearly unsubscribed and then suddenly i had lots of surveys, then it died off, then picked up. So maybe join a few survey sites. Thanks for the comment and for sharing your experiences Pat. Yes, the worst thing about Green Panthera is that you will have to click a lot of links to find the surveys that are available to you. But with a bit of patience, it has some good surveys. But I completely agree that there are sites where it is a lot faster to earn. Great suggestion about joining several sites. The amount of opportunities can defintiely be very different from site to site depending on your demographics. And also by joining several sites there will naturally be more options and more ways to earn, so completely agree with you that it is best to join several sites – I usually recommend 4-6 sites for a start not to get overwhelmed, and then after a while possibly expand to more sites. My real concern with this site is the support team will not give you a physical address. In the UK that’s illeagal but that is almost beside the point. Where is this company based? I can’t track it down through servers etc – so anyone have an idea? I have also not been able to find info about where it is physically located. Did you ask the support team, and they did not want to give you the info? Because if that is the case, it of course does not sound good. No doubt that I in general prefer sites that are not hiding the physical location of the company – companies that have nothing to hide are in general more reliable. Hello. I can not access my account.And I can not change the password, writes that – Please try again. Your e-mail does not match our record does not fit my e-mail. Sorry to hear that Matthew. Have not tried thta myself. Sounds very strange that you can also not say you forgot your password and get a new one. I would suggest to write the Green Panthera support – there is a button on the site with “contact us”. Hope it works out and that the support gets back to you quickly. And feel free to update here when you find out what was going on. My opinion about green panthera is that it only wasting your time., I have done several surveys but I didn’t get paid for no one . Sorry to hear about your experiences. Have you completed surveys that you did not get paid for? I have always been paid for the surveys that I completed. I have very often not qualified for surveys, or clicked links for surveys that where not available anyway, but always been paid for the ones I completed. If that is not the case for you, you should definitely complain to the support of the site. If you do not have good luck with Green Panthera I recommend checking out some of the top survey sites, as Green Panthera can take a bit of patience compared to some other sites. Which sites that are the best depends a lot on the country you are from. I have made lists for several different countries that you are welcome to check out to get an idea about which sites might be best for you: List of survey sites in specific countries. I had joined a few survey sites and realised that a couple were not good and so i unsubscribed from one of them. I then noticed that a survey site i’d used for a while was not allowing me to log in and i couldn’t even re join. I emailed them and they advised that i had unsubscribed. So just be careful when you do unsubscribed as you may be unsubscribing from one survey site, but it will unsubscribe you from other “affiliated” sites. I never knew this was possible, but it is. They simply re connected me and were quite nice about it. So perhaps email them and see what they say. Good luck! That is interesting to hear Pat. I did not know that it could happen like that. Thanks for sharing. And good to hear that the site easily reconnected you. wait and see is this true or scam? I have myself not had any problems with getting paid after reaching the payout threshold, so hope the same goes for you. Feel free to let me know if you run into any problems. Am finding it hard to log in, site can’t be reached. And about 4 dollars short of cashing out, yet they are still sending emails. Will give it a couple of days and see what happens. Like you mentioned in an earlier post, they might not want to pay out with a few people. Sorry to hear that Caroline. Hope you will be able to login soon and get to the payout threshold. Feel free to keep us updated here about how it goes. Let me thank you first. I am from India and have read many reviews.They are eihter biased for or against. But here I see, you are simple & clear. I have signed up for the site on your advise and let me see it my self. As said, I am from India and looking forward a good income from these sites. Active member on Mturk(and that is the only site I am satisfied with so far). Would you kindly recommend me genuine survey sites for we Indians? Thank you very much for your feedback. Really glad to hear that you like the info. What you mention is exactly the reason I have made this website. Most reviews are either very positive and exaggerated to try to sell, or very negative to try to convince you to buy something else instead. So I wanted to make a site with honest info based on my own experience, so I am very happy to hear about your experience. I love India and have actually lived there most of my time for a couple of years:-) At that time I did however not know about paid surveys, so have not been able to test how the possibilities are in India myself. But I can advice you on which sites I in general find to be the best that also allow members from India. One of my favorite sites is ClixSense. Not sure how many surveys it offers for India, but it also has other opportunities as for example tasks through Crowdflower and different paid offers. It is one of the sites that I in general find to offer the most opportunities to a broad range of countries, where many other sites do not have any offers. Toluna is also a site that I have had good success with and is also available in India. PrizeRebel is also a great survey site, but it does not offer a lot for India as far as I am aware, but it is possible to sign up for you. It might have a few surveys, but other than that, it also has paid offers and tasks. I would say that these are some of the best sites I have tested so far that also allows members from India. I can unfortunately not say exactly how many opportunities they will give you. But you can read reviews about all of these sites here on my website through the top 10 list to see more about what they offer. And please feel free to let me know how it goes and how you find the sites. Would be great to get some feedback from someone trying these sites in India. Thanks. Anyone have any idea how long before refferal earnings appear in your account as i have some refferals on my friends list for a while and i have gotten nothing so far. Usually I get the referral earnings about once a week. So if it has been longer than that, it is probably because the people your referred are not taking any surveys or offers. GreenPanthera is in general not a site where you will make a lot on referring people. I have quite a few people on my friends list, and only make a few cents here and there at the moment. Just had my account closed by Greenpanthera for no reason at all after building up to $59, after repeated attempts to contact them they still have not informed me the reason why, tapped on link to change password entered my E-mail address and just says we have no record of your E-mail address. I think people need to be aware that this is not a reputable survey site and I would be very careful. My advice would be stay well clear as they will delete your account without warning, and all your hard work will have been for nothing. I am very sorry to hear about your experience Mick. But thank you very much for sharing it. Personally, I have never had problems about getting my money paid out from Green Panthera. But as you can see below, I have received quite a few other comments about similar issues with the site. I really appreciate you taking your time to give this feedback, and warning others. Because of this kind of feedback, I have also included this kind of warnings in the review, even though I myself have never had problems with the site. But it seems like you are unfortunately not the only one that has had these problems, and I agree that it is important to let other people know about this kind of experiences. If you want some advice about other survey sites that are better, just let me know, or feel free to check out some of the other reviews on my site. Sorry for hearing about your experience Tess. But thanks for sharing. I have not experienced any issues like that myself, but as you can see on my website here, you are not the first one that has some complaints about Green Panthera. I have therefore also now updated my review and included a section with some of the complaints I have heard so people will also be aware of this before joining. I have also included the complaints into the rankings of Green Panthera and given them a lower rank now and moved the site further down on my top 10 list, as even though I have had good experiences with the site, I have to take it into considerations when several people tell me about their bad experiences. So thank you for taking the time to share your experience. About phone or address I can unfortunately not help you. I have not been able to find this info. Depending on the country you are from, you can consider trying out ClixSense or CashCrate instead, as they are a lot faster to earn money on. But how good they are depends on where in the world you live. Scam Survey site. Don’t join. Only waste of time.They may suspend you account once reached into cash out. They suspended my account once my balance reached to cashout amount of $30. It has taken more than an year to accumulate this amount. Thanks for sharing your experience. I am sorry to hear that you have a bad experience with Green Panthera. I would suggest that you contact the customer service and ask what happenend, because usually they do not just suspend an account. Sometimes survey sites can suspend a membership, if they suspect cheating or if you try to for example login from a country where you are not registered with your membership. Try to contact the support – maybe a mistake happenend. Personally, I have never had any problems with paying out through Green Panthera, and I can usually make enough for a payout within 1-2 months, and I have not had any problems with my account. So sorry to hear it is different for you. If you contact the support, feel free to get back to me on how it goes, as I like keeping updated on other people’s experiences with the surveys sites as well, so I can keep my information on this website updated and include other people’s experience. Thanks for letting me know about your experience and wish you all the best. Hi I didn’t actually join greenpanthara I just enquired with their web site now I get spammed by them everyday. I have tried to unsubscribe but their link doesn’t actually go anywhere and I can’t find a way out! I have sent them an email to stop emails and they ignored it! Do you know how to stop this annoying company? That does sound very annoying. Very strange that they started sending you emails without you actaully signing up for the site. I have not had any problems with the site, but I have also not tried to unsubscribe. So I just checked the emails I receive and also seems like the unsubscribe link from them are not working – not ok! Hope that it might just be temporarily and that it will soon be fixed. But if they do not reply to your emails, and you want them to stop sending emails, I would suggest you to just block their email address. In your email account you should be able to block certain addresses and then they will not get through anymore. Thanks for letting me know your experiences. I am planning to update my GreenPanthera review and ranking soon, and will take this feedback into consideration, so really appreciate you giving the feedback. And just let me know if you have any more questions. Same here, I was a few dollars away from the cashout that has taken me over a year to get and I tried to log in a while back and it says invalid email. The support send either one word or one sentence answers when asked for help. After about a month of repeatedly trying to get them to help I told them to delete my account and I haven’t had any emails since. There are much better ones to sign up with that are more courteous. Sorry to hear that Sarah. Worrying to hear several people having similar experiences like that. I have not had any problems with getting pauoyts from Green Panthera myself, but not good to hear that some people have. Thanks for sharing and letting us know about your experiences. And I defnitely agree that no matter what, there are survey sites that are better and where it is a lot faster to earn enough for a payout. Yes they do send out a lot of emails with survey invitations. I do however not receive as many as you. Think I maximum receive 5 emails a day. And like you, it is not many of them I qualify for. And that is for me the downside of Green Panthera. It does give good rewards compared to many other survey sites, but as I also mention in the review, the downside is the many emails they send that leads to surveys that you do not qualify for. Luckily you will know very quickly, if you do not qualify, but still annoying. So in my opinion, Green Panthera is actually a really good site that can give good results, but it takes some patience and that you are willing to check quite a few emails to find the surveys you can actually take. I hope that the site will improve on this and become better at matching the surveys – because if they become better at this, it will be better than many other survey sites. But until then, you can also check out some of the other top paying survey sites. At most of them, you will also still end up getting some invites to surveys that you end up not qualifying for, but not in the same amounts. The only site where you will never be offered a survey that you do not qualify for is PaidViewpoint, which however does not give you as many opportunities and offers as many of the other top sites. Do you have a list of the surveys that are scams? At the moment I have not put together a full list of all the scam sites I know. Planning to do it in the future. Until then you can see the scam sites I have done a review in my category about survey scams. I will add more of these reviews soon. I have also written an article that gives general advice about how to avoid survey scam sites. If you have any specific site that you think might be a scam, you are also welcome to let me know which one it is, and I will be happy to tell you my experience about it. If it is a site I do not yet know, I will also be happy to take a look at it, and tell you what I think. Very interesting ! I’ve seen many paid surveys’ website, but many of them were scam or didn’t really worked. From your article it looks like Green Panthera could end up being the good one I was looking for. Thank you ! Very well explained and excellent review. You tell the truth and your information convinced me. Thanks for your comment Fred. Yes there is unfortunately many bad survey sites as well. That is also why I have tested so many of the, but fortunately there are also many that actually works, and that pay you without any problems. With Green Panthera, you just have to be a bit patient with the emails, as they sometimes can send many that leads to a survey that is already closed or not available to you. But other than that, it is a great site, and they payout without any problems. Hmm..I never heard of this Green Panthera. Is that supposed to be named after the band? It is a pretty neat sounding site if you like paid survey sites. $.75-1.00 is a pretty good payout for 5 minutes of work. Do you have to work a certain amount of hours for them? It looks like it would take you about a month to hit the $30 threshold, but it’s extra spending money. Thanks for the good post. Thanks for you comment Jason. Yes they do pay pretty well in relation to the time spend. But as I mention, you just have to accept that you might also get some emails with a link to a survey you cannot participate in anyway. But if you can accept that, it is definitely a site worth joining. You decide for yourself how much time you want to spend. You can just ignore the invitations they send, if you do not have the time, or open it at a later time. I usually click whenever I have a little extra time or waiting for for example a bus etc., and then it is a great way to make a bit of extra spending money.